Serendipity, as any fan of Arthur C. Clarke will tell you, is the act of finding something while looking for something else. A couple of things have happened over the past fortnight which tell me that my marketing campaign for Tasting the Wind is taking a new direction. One of the joys of being published through a small press is the often obvious relationship between marketing initiatives and online sales. At first, I would do a promotion- a press release or a post on a forum, and later that day my Amazon rankings would climb. Recently there have been times when the rankings have altered significantly when I haven’t been doing any direct marketing. Maybe, I thought, it was people coming across something a little later than most, or probably word of mouth. Then I received two very interesting communications which highlighted the fact that there is more to marketing than I had thus far imagined. The first was a text from an ex-member of staff who is now studying in the Social Sciences department at the University of Manchester. She had walked into her tutors office and was totally spooked when she saw my book on her desk. She asked if I had sent it as a review copy, but it turned out that her tutor had discovered it through searching for books about learning disability on Amazon. So… if you are promoting a book, remember to add carefully chosen tags to your Amazon page, so that your target audience can find it. The second thing was a contact through my website from somone I had worked with over twenty years ago. In fact she was someone who had influenced parts of my book. She had been looking for a book in Waterstone’s by someone whose name began with ‘M.’ When she saw my name she went home and googled it and discovered that it was me. So there you go. I could never have guessed when I wrote my lists of book marketing tips for this blog that by this stage other, unexpected features would come into play. *Yes, I do know that’s a bit far fetched… someone who can read in the Big Brother House? If you click Here you can see the current top ten bestsellers from authors published by YouWriteon. At present YouWriteOn have 375 books on Amazon. A Dangerous Windfall has held first place for some time now. Having been at number one, The Frog and the Scorpion stays firmly at number three. So what have these authors done to get into the top ten? Earlier this week I noticed that Aaron Jennings’ Chasing Dreams was rising quickly, and maintaining high rankings, so googled it, to see if the web held any clues. According to the tenets of neurolinguistics it is better not to look up to successful people, but to look into them. So what has Aaron Jennings been up to? The Google results demonstrated two things: the first of these was internet presence. Aaron has planted his book on so many sites, the trawl producing a long list of varied references to Chasing Dreams. The second- and perhaps the most successful strategy, is that he has identified a niche audience. I haven’t read his book, but apparently there is a surfing theme, and it is clear from some of the sites where his book appears that he has directed his marketing at the surfing community. Liane Carter was one of the first (perhaps the first?) people to feature on the YWO website at a Waterstone’s book signing. She has also invested in her marketing, and is the only YWO author to have a ‘Meet the Author’ video, which appears on her Amazon page. Thomas Dean, the current number one, also appears on various websites, and has been featured in the Northumberland Gazette. I can also vouch for the usefulness of the press release. I had fallen to ninth place, and my Amazon ranking was 160,000th. Then my press release appeared in the local newspaper, my ranking shot up to about 11,000th and I went back up to number 5. So how many have been sold? No idea- the stratistics give no clue. Although I know it not to be the case, the YWO table would look the same if Thomas Dean had sold only ten copies, Kate Hanney nine and so on. I would be interested to hear from any other POD published/ self-published authors about which marketing strategies they have found most successful. Meanwhile, I am expecting to be making a big announcement on this blog sometime soon… watch this space. Kathleen, a colleague of mine in another area said that she wanted to buy my book, but didn’t know how to use Amazon, so I offered to order her a copy. The day it arrived, I signed it, and asked another colleague, Barbara, to pass it on to Kathleen. I was in a multi-agency meeting at a local day centre. I gave my report, then Kevin, the convenor, asked me if there was anything else. Gripped by the madness that overtakes you when you have a book to sell, I asked if I could steal thirty seconds of the meeting to mention my book, did my ‘Elevator Speach’ and gave out the cards that I keep in my wallet. Kevin asked if I had any copies of Tasting the Wind with me, because he would gladly buy one. Barbara told me that she had passed the book on to Kathleen, but before doing so had read the prologue. And she was hooked- could she buy one? It just so happened that after missing the opportunity the day before I had one in my bag. I had made a sale. And thanks to readers of the Chorley Citizen- since appearing in this week’s edition my Amazon rankings have soared. Please drop me a line or say hello if you see me around town. The Press Release can be seen HERE. Although I am still waiting for the copies of my book that I ordered from the publisher, a box of ten arrived from Book Depository at the weekend. So now I have them, what am I doing with them? This may come as a shock to you, using the internet as you do, but you will have among your friends and acquaintances some people who do not know how to buy from Amazon, and don’t want to wait the upto four weeks for W.H. Smiths to get hold of it. So I have sold a couple of copies this way. Now although I come from Stoke-on-Trent and live in Lancashire, I must have a spot of Yorkshireman in me somewhere because parcelling up a book and sending it, free of charge, to a total stranger was not an easy thing to do. But you have to speculate to accumulate, because the generation of interest from one positive review should make the sacrifice more than worthwhile. I have sent a review copy to ‘Lancashire Life’ Magazine. 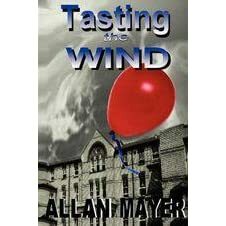 When I spoke to the editor he was happy with the fact that although Tasting the Wind is not on a Lancashire theme, the fact that sales will help a Lancashire charity would qualify it for their interest. I say ‘shop’ rather than ‘bookshop’ because there is no reason why your book can’t be sold from any venue- particularly if it is thematically linked. I spoke to the manager of my local W.H. Smiths the other day, who informed me that she has a budget for local authors- but that at the moment it is overspent. I’ll be going back there later in the year, but for now will be approaching the shop belonging to the charity which I support. I call them that because I have noticed a tendency in myself recently (brought on by an obsessive compulsion to market my book) to be a little… cheekier than usual. I can best describe this in an anecdote of my week so far…. Which I will tell in my next blog.